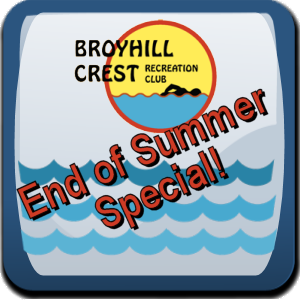 End of Summer Special! 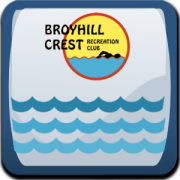 Enjoy Broyhill Crest pool for the rest of the year at a great rate, from July 30-Sept 4! 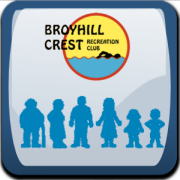 At a time when money is tight for many of us, the Broyhill Crest Recreation Center is a great deal. A family of four can enjoy all the amenities and activities for less than the cost of a weekend at the beach. 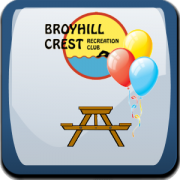 You can pay for your Broyhill Crest dues online with a credit card by completing the form below with your membership information. The End of Summer Membership Discounts are shown below! Click each membership type to see discounted price! Please provide the names of all the family members in your membership. For the family memberships, please list birth-dates for all members under 18, including infants. All members listed must maintain primary residence at the address above, or be a caregiver there. Become part of the future! Shares of stock are available for purchase. Benefits incl. 5 guest passes & 1 free pavilion rental per summer. New Member initiation fee waived with purchase of a share. Please contact Lori Martin at 703-560-1282 or lemmartin@gmail.com if you're interested. Waived for senior members. Fee is for members who aren't able or interested in performing six (6) hours of volunteer duties. Pay non-work fee now (Fee is Waived for August Special) OR select "I will help out" and then indicate below how you plan to volunteer. If you have a little extra you’re willing to donate, it’ll be much appreciated, please enter the amount here! If you are finished with your base membership, click "Add to Cart" to finish your registration, then you may checkout and pay. 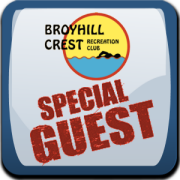 At a time when money is tight for many of us, the Broyhill Crest Recreation Center is a great deal. A family of four can enjoy all the amenities and activities for less than the cost of a weekend at the beach. August Special, enjoy all of this from August 1 through the closing day, September 3rd! 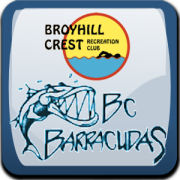 You can pay for your Broyhill Crest dues online with a credit card by completing the form on this page. Single – For singles over 18 but under 60. Family Membership – At least 1 person 18 or older, living in the same household. One flat fee for all family members. Senior Single – For singles over 60. Senior Couple – For couples where both are over 60.